As you probably know, there were several remasters released in 2009 from Sanctuary/Universal records in the UK. These were based off the original UK set of album masters (as opposed to the US/Warner set which resulted in Black Box & Rules of Hell). The first three Sabbath albums were released in multi disc format with extras, demos, and alternate tracks. Volume 4 through Never Say Die were released in single disc, albeit remastered form. There are a lot of people who are into compression rates and things of that nature who say that the new Sanctuary/Universal remasters are way better than the ones in Black Box. I personally don’t have that discerning an ear, and to me if you have to get out software to prove sound levels to make that point then you’ve missed the point of the music. But that issue aside, the new Sanctuary/Universal 2009 remasters were freakin fantastic. Unfortunately for fans in the US, we have to import them, as they are not released here. Still, they’re really good recordings, and since the Black Box remasters were not released on their own, this is a great way to cherry pick and get the individual releases if you want to do it that way. Late this week the word broke that more albums are going to be released in this Sanctuary remaster series. 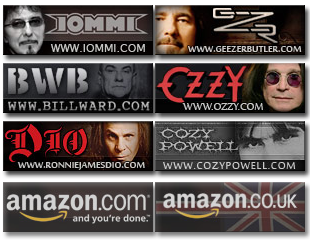 I’ve received press releases and artwork for “Heaven & Hell”, “Mob Rules”, & “Live Evil”. These are the next three (official) releases by the band after Never Say Die (Dio’s first go around). Below I’ll have the artwork and the press releases for you to check out. A few choice tidbits about the releases, first.. Heaven & Hell: Disc 2 is a collection of live versions from the album. It also includes the two “music videos” for Neon Knights & Die Young (both of which appeared on the MVI version of “The Dio Years” from Warner in 2007. A full listing is in the press release. Also, a “mono” version of Lady Evil? What’s with that? Mob Rules Disc 1: Disc 1 contains two extra tracks. The first is a live version of Die Young, which appeared on a 12″ single back in the day. The second is an “Alternate Version” of the track “The Mob Rules”. This is likely the version from the Heavy Metal movie soundtrack, but I’m waiting on confirmation of that. Mob Rules Disc 2: Astute visitors will note that Disc 2 has the exact same track listing as the limited edition release from 2007, “Live at Hammersmith“. 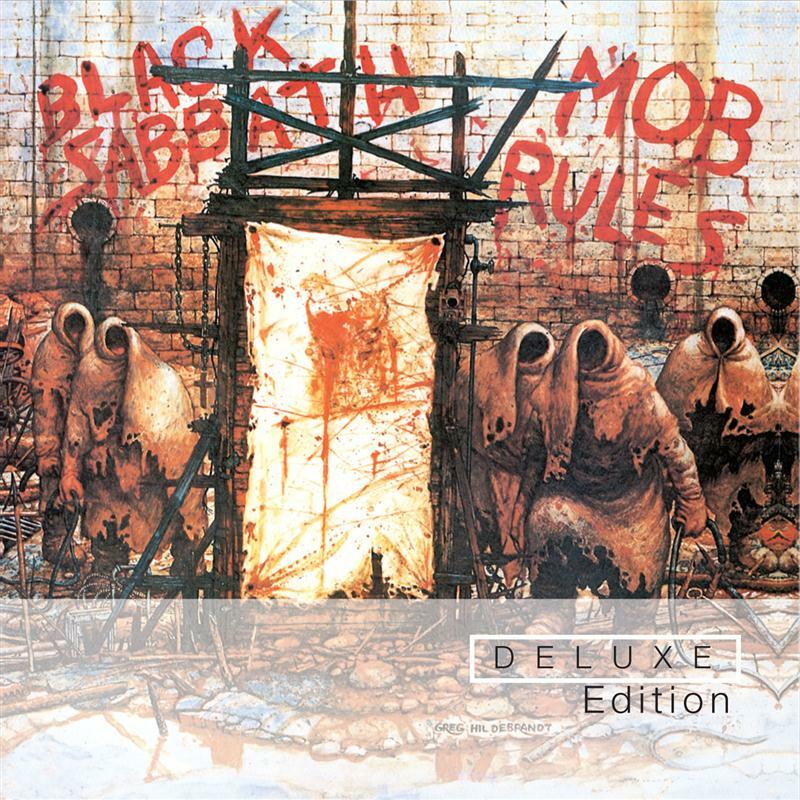 I checked with Steve Hammonds of Universal, and he confirms that Disc 2 of Mob Rules here is the same release as Live at Hammersmith, going so far to say “we licensed it from the band”, so if you didn’t get a chance to get the Hammersmith release a couple of years ago, now you can get that recording – it’s fantastic! 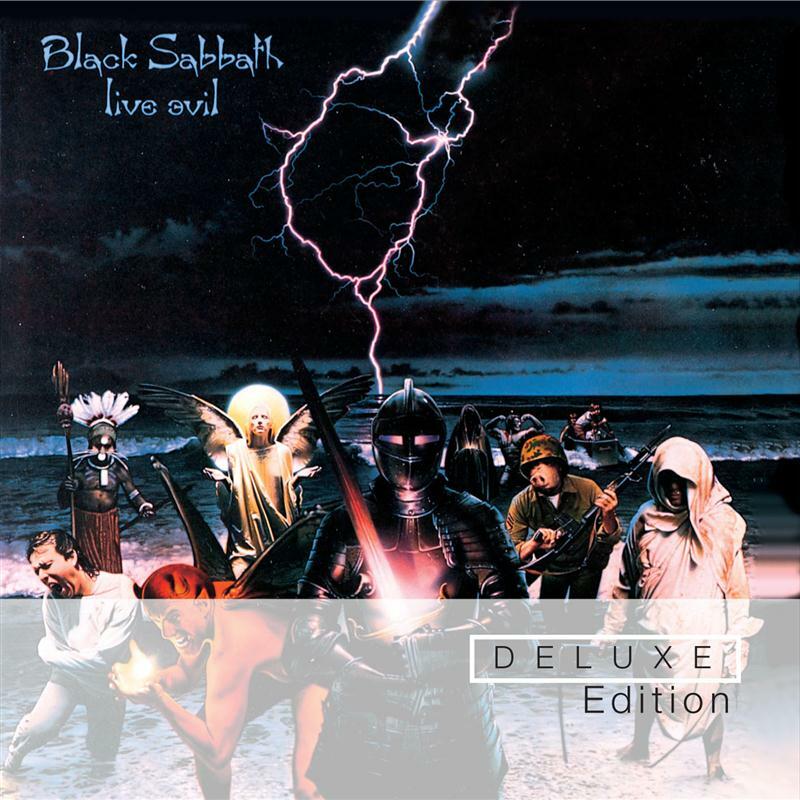 Live Evil: Live Evil isn’t really a “deluxe” edition as far as I can tell, as the track listing is the same. The lone note for this version in the press release is “Original Dio crowd interaction and audience noise restored”. The 1996 Castle release crammed the whole thing on a single disc, and that was the last time the UK master set was used for this release. This would then make calling this a “deluxe” edition on CD, I suppose, but that’s a real stretch. The version that appeared in the “Rules of Hell” box had two discs, and the full recording restored already, but again, that’s a US/UK separate remaster issue again. I think the highlight here is probably the inclusion of the “Live at Hammersmith” release as Disc 2 of Mob Rules. Some Hammersmith owners might feel right ripped off about that, given the “limited edition” release. I look at it this way. I think we all sort of realized that would get re-released somewhere at some point. I doubted that recording would never show up again. Plus the original Hammersmith release artwork and booklet and all that won’t be here. This is probably the same deal like where “Live At Last” from 1980 was released as Disc 1 of “Past Lives” in 2002. What will be interesting for me to see is what happens after this. Remaining on the master series for this series of Sanctuary releases is Born Again, Seventh Star, & Eternal Idol. After that, all the releases from Headless Cross (1989) through The Sabbath Stones (1996) are all from the former IRS label deal, of which the rights reside with Iommi at the moment, AFAIK. There are a ton of b sides, Japanese tracks from that era, and I would love (I mean stinkin LOVE) them to be picked up as proper remasters with all the extra tracks included. On a personal note, I confess to looking forward to those releases more than any others. Anyway, after the jump is the press releases for these three deluxe editions being released April 5th along with artwork..
Black Sabbath, one of the most prominent and influential faces of the 70’s Rock topography were, by the decade’s end, a band in disarray. Once the masters of their own reality; the Birmingham four-piece were now battle weary veterans, wearing the deep scars of a near ten year album-tour-album cycle. Black Sabbath’s latest album, “Never Say Die!”, released in September 1978, would transpire to be their final studio recording with Ozzy Osbourne, who in less than a year, would no longer be with the band. Ronnie James Dio, Rainbow’s founding lead vocalist whose lion’s roar had taken the band to gold and platinum status also parted company with his band. Several phone calls later and a chance meeting in, of all places, the Rainbow Bar & Grill on Sunset Boulevard, West Hollywood, Iommi invited Dio to join the remaining members of Black Sabbath for an impromptu rehearsal. Within fifteen minutes and one brand new song later (‘Children Of The Sea’), a new era of Black Sabbath was born. 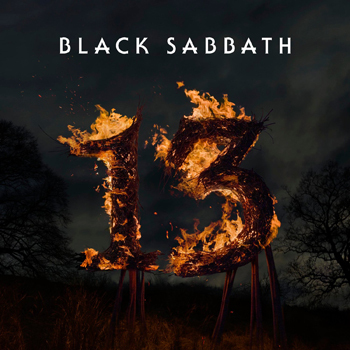 The resultant album releases over the next few years proved without question, that this match was one without peer and succeeded without question in carrying the name of Black Sabbath (later with Vinnie Appice replacing Bill Ward on drums) proudly into the new decade. With an accompanying soundtrack featuring some of the most exciting and dramatic Heavy Metal to ever grace a studio or stage, Black Sabbath rose once more to a place of highest regard within elite Rock circles. Such was the chemistry between these players, that two reformations of this Black Sabbath line-up have since been made, the second of which, occurring in 2007, went under the title of that first ground-breaking album, Heaven And Hell, and still survives at the dawn of yet another exciting new decade for Heavy Metal. 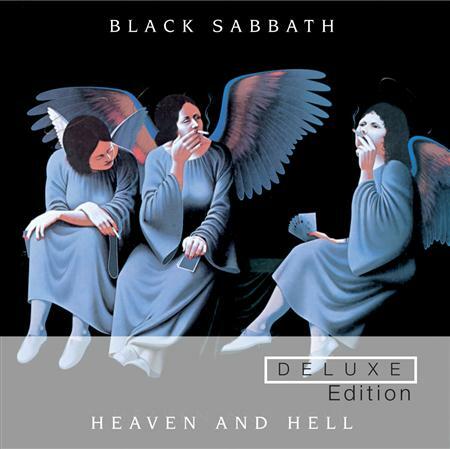 The Deluxe Expanded Edition of “Heaven And Hell” is released through Universal Music catalogue on the 5th April 2010. It will be available on deluxe cd. April 5th will also see the release of a deluxe expanded edition of “Mob Rules” and a deluxe edition of “Live Evil”. Black Sabbath, one of the most prominent and influential faces of the 70’s Rock topography were, by the decade’s end, a band in disarray. Once the masters of their own reality; the Birmingham four-piece were now battle weary veterans, wearing the deep scars of a near ten year album-tour-album cycle. Black Sabbath’s latest album, Never Say Die!, released in September 1978, would transpire to be their final studio recording with Ozzy Osbourne, who in less than a year, would no longer be with the band. The Deluxe Expanded Edition of “Mob Rules” is released through Universal Music catalogue on the 5th April 2010. It will be available on deluxe cd. April 5th will also see the release of a deluxe expanded edition of “Heaven And Hell” and a deluxe edition of “Live Evil”. The Deluxe Edition of “Live Evil” is released through Universal Music catalogue on the 5th April 2010. It will be available on deluxe cd. April 5th will also see the release of a deluxe expanded edition’s of “Heaven And Hell” and “Mob Rules”.